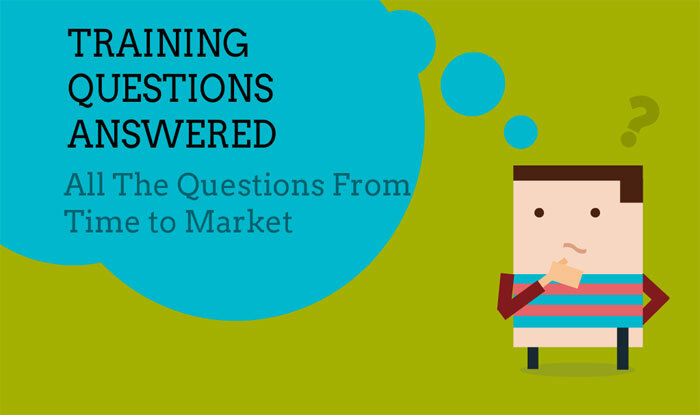 Here are just a few of the many training questions answered as we received them. People ask us many questions about our presentation and public speaking skills courses. So we hope you find some presentation questions answered that are just right for you. 1. What is involved with a PresentPerfect presentation course? With a PresentPerfectTM presentation course you will gain a thorough understanding of effective presentation techniques. You will be introduced to a range of presentation skills, methods and styles. And, using a series of scenarios and role plays you will have the chance to practise your public speaking skills. So you can use new and enhanced speaking styles. You will get to understand the methods for preparing and planning a presentation Learn how to rehearse and familiarise your material. additionally learn how to gain the attention of your audience. We limit each public skills development session to six participants only, which means that you will gain the essential confidence to be an effective speaker. We hold courses in both full day and half day formats. And because we hold them at more than 40 training centres in the UK and Ireland, you are never that far from one. 2. Where are your PresentPerfectTM presentation training course venues? We have a national network of training locations for presentation skills training in the UK. You are never too far from a convenient location anywhere in the country. Each site boasts modern training room facilities in an executive setting. We select our training centres for their city centre locations or convenient motorway routes. So, therefore they are accessible by private and public transport. There is free parking at most of the training centres outside city centres. We will advise you about parking at the city centre training venues. 3. How many presentation training participants are on each PresentPerfectTMcourse? We designed the PresentPerfectTM training training course for up to six participants. Of course some courses will have fewer participants enrolled on them – not least because of the course location. However no public course will have more than six students. We aim to have courses balanced with students of similar presentation skills ability–beginners, intermediate or advanced speakers. That’s because your learning is enhanced when you train with other people with similar skill levels. Our training centres are equipped with suitable rooms and room layouts to support a class size of six presentation training participants. 4. Can participants with a mix of presentation ability attend the same presentation course? Each PresentPerfectTM participant acquires a fresh insight into their public speaking skills. Thus they develop new techniques, regardless of their starting position. Typically presentation skills trainees will benefit the most when they learn in a training group of similar skills to themselves. It’s because we want to encourage your skills that we advise you attend a presentation training course that is pitched at the right level for you. Your learning will include active scenarios, role playing and practice. This ensures that every participant has the same opportunity to build their skills. 5. I have never given a speech before. Should I attend a PresentPerfectTM effective speaking course? When your career or voluntary activities require public speaking then it’s always the right time to develop these skills. It’s never too early. And it’s never too late. Many managers are concerned that their careers are held back through public speaking anxiety. So, PresentPerfectTM will help you to overcome those fears and develop effective public speaking skills. That’s because each PresentPerfectTM effective speaking course will match trainees of the same ability. Beginners will be on the same course with you. You have the chance to work on your public speaking skills without worry. 6. I am a frequent presenter. How can advanced presentation skills training assist me? If you have any reservations about your public speaking skills then an advanced presentation skills training course can help with your presentations. When you suspect that your audiences don’t always receive the right message then PresentPerfectTM is for you. And when you still have some public speaking anxieties then PresentPerfectTM can help by channelling that anxiety into effective presentations. So, if you want to achieve even more with your presentation and public speaking opportunities then PresentPerfectTM is for you. 7. Do you use video recordings when you teach the art of public speaking? In each PresentPerfectTM session we use a unique system for providing feedback to a speaker. That feedback closely replicates the feedback provided by a real audience. Because with video, we noted too often that speakers became preoccupied with their own perception of their video self and not the real perceptions of their audience. Therefore our conclusion was that video did not assist in real public speaking development. Noting that, please don’t hesitate to let us know if your public speaking is more likely to include a direct media audience and we can provide for video feedback in your training. 8. What is needed for confident public speaking? In time these basics will become second nature. But good solid preparation and planning remains critical to success. Because no matter the level of your public speaking abilities, your preparation remains vital for confident speaking. Just knowing that you are fully prepared and that you are familiar with your speech will boost your confidence. You will learn more confidence boosting skills when you participate in a PresentPerfectTM public speaking training course. 9. Are public speaking training courses the best way to learn public speaking skills? The PresentPerfectTM public speaking training course enables participants to acquire the essential skills for effective public speaking without risk. 10. Can you really teach public speaking? Undoubtedly there are charismatic speakers who have never benefited from speaker training. But there are far more excellent speakers who have learned their skills, refined their performance and practised their delivery with the help of presentation training. With a training course you have the chance to learn all the principles of effective public speaking. You can practise the best techniques and receive the top tips. You have the opportunity to practise these skills in a safe environment with the right level of positive feedback. 11. Can I attend either a full day or a half day training course to master public speaking? Our PresentPerfectTM courses are typically a full day duration. In this time you will acquire the key skills needed to master public speaking. Your trainer will explain the principles of public speaking and the core elements involved in successful speaking. Thus, you will have the chance to practise these skills with your own speeches and presentations. Half day training sessions are also very popular with conference speakers wanting to prepare for a key event in the near future. In the half day PresentPerfectTM course you will focus on key presentation skills and speaking styles. 12. How long does the PresentPerfectTM public speaking course last? A full day PresentPerfect public speaking course starts at 0900 and closes at 1700. Please let us know if you need to make a dash for home or office at the close of the training and we will be punctual! During this effective public speaking course you will acquire the dynamics of public speaking. Learn how to plan and prepare your presentation and research your audience. Then you can focus on how to rehearse and familiarise your speech. You will work with PowerPoint and use rhetorical devices. A half day course starts at 0900 and closes at 1300. Or, alternatively, you can always join an afternoon session if you prefer. We provide lunch and refreshments for full day and half day courses. 13. What PowerPoint public speaking tips are taught on the training course? We teach a range of PowerPoint public speaking tips, tools and techniques. The focus is on you as speakers. We want you to get the most from the important PowerPoint package. PowerPoint has superior graphics, imagery and video. But typically these features of the software are less frequented than over-used and tired bullet lists. So, we will show you a range of public speaking tips to ensure you get the most from PowerPoint. During the PresentPerfectTM public speaking course you will learn how to use alternatives to the bullet list format. For example, you will work on a speech illustrated only by pictures without any bullet points at all.